According to the EPA, 3,000 pounds of paper towel waste is produced each and every day. Look at your own use of paper towels. In a matter of days you can use an entire roll. And where does all of that waste end up? In the landfill. Short of just using a regular dish towel, there has never been a good paper towel alternative for eco-conscious consumers. 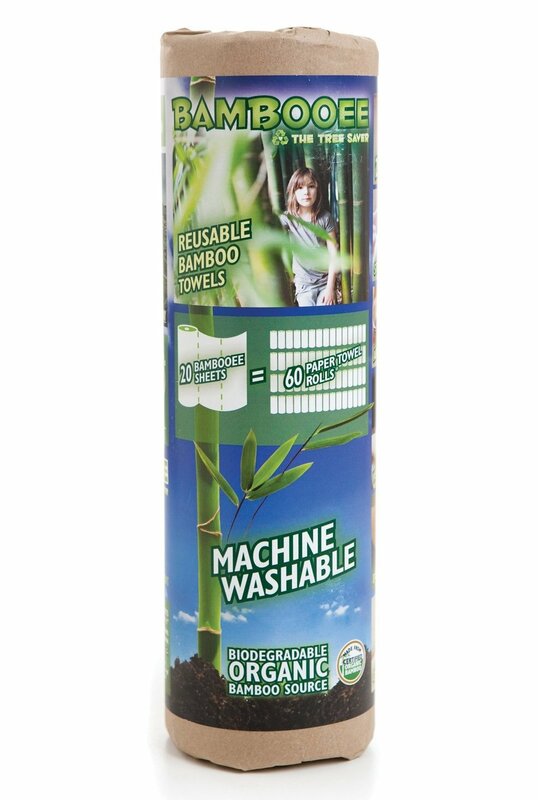 Bambooees are the first fully-washable, completely reusable paper towels. Just one sheet can be used up to 100 times. The are just as absorbent as a paper towel, but you can rinse them in your sink, wring them out and reuse them again. Best of all, they don’t rip, drip or tear when wet, making it easy to clean even the toughest of messes. Bambooees are also machine washable. At the end of the day, drop your Bambooee in the wash and reuse it the next day. Each one is reusable up to 100 times. That means that just one roll of Bambooees replaces up to 286 rolls of paper towels and can be used for up to 5 1/2 years! Bambooees aren’t just for the kitchen either. They are soft enough to use on your face and they won’t scratch your car. You can literally use them anywhere. What makes these towels so incredible is that they aren’t made from paper. They are made from bamboo fibers and are more akin to a cloth than a paper product. This makes them ultra durable, yet cheap enough to replace when needed. 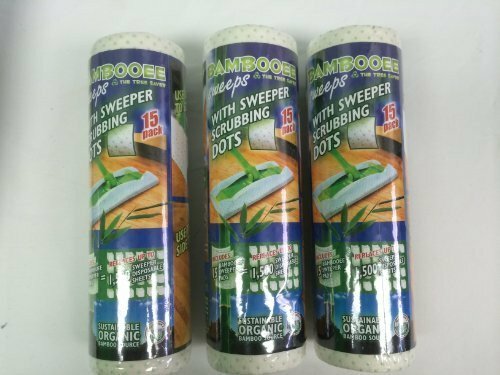 The company behind Bambooees isn’t just about making a great paper towel replacement, they’re eco-friendly as well. Each Bambooee is made from sustainable, organically-sourced bamboo. The company also plants a tree with each roll sold.